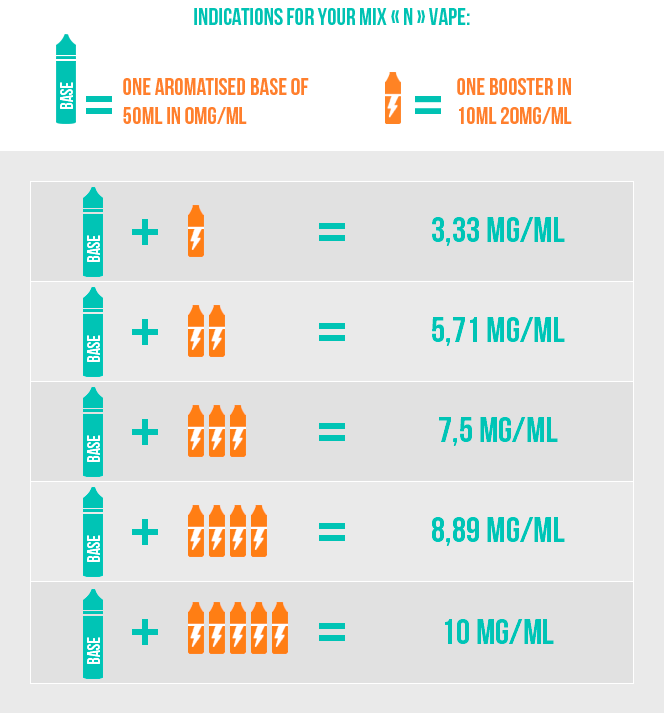 What nicotine level is right for you? 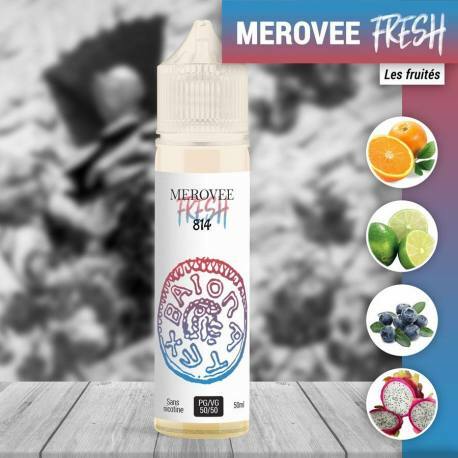 E liquid Merovée Fresh 814 50 ml. Coma and discover a beautiful association of juicy Orange, Lime, Blackcurrant and Dragon Fruit. A real breath of freshness accompanied with this fruity mixture. E liquid 814 50 ml is available in a 50 ml Bottle with a PG/VG rate of 50/50, ready to boost. The Booster Packs 50/50 propose 10 x 10ml Bottles Born To DIY Format - 20mg/ml. A fresh wind coming straight from the 814 Kingdom! The French manufacturers propose their famous recipes embellished with powerful fresh sensations. You can find the Bathilde, Clodomir, and the Merovée in a 50ml bottle. The 814 Fresh E liquid is the result after a long process of reflection which offers you original recipes of great quality. Each 814 Fresh e liquid you will appreciate the magn,ificent mixture of fruits accompanied with beautiful freshness. Make the choice of nobility with the 814 e liquid. The 814 Fresh E Liquid is made in France by 814. The 814 Fresh E Liquid can hold up to a maximum of 60ml in E Liquid. For a superior dosage with nicotine boosters we advise you to use the Graduated Twist Bottle or DIY PET Bottle. Which rate of nicotine to choose ? The rate of nicotine depends on your nicotine intake. To know exactly your dependency in nicotine, there does exists many screening tests used by Tabacologists. Find the test on this page: Test-addicto.fr. For an optimum preservation of the flavours, keep your 814 E Liquid protected from light, in a dry place, and at room temperature (around 20°C). Shake well before use and do not hesitate to ventilate (open the plug) your 814 E Liquid for a few days before using it for a better restitution of the flavours.